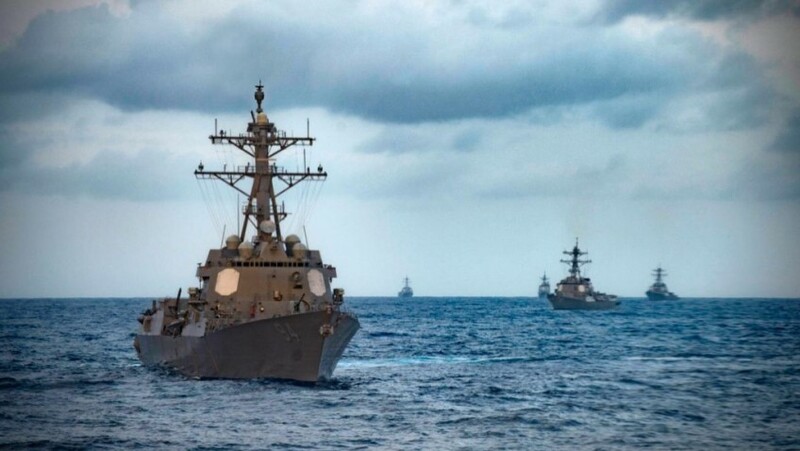 Evolva has teamed up with the US Navy to focus on the development of a new class of structural composite material engineered from a polymer resin matrix fabricated from a specified formulation of Evolva’s resveratrol. 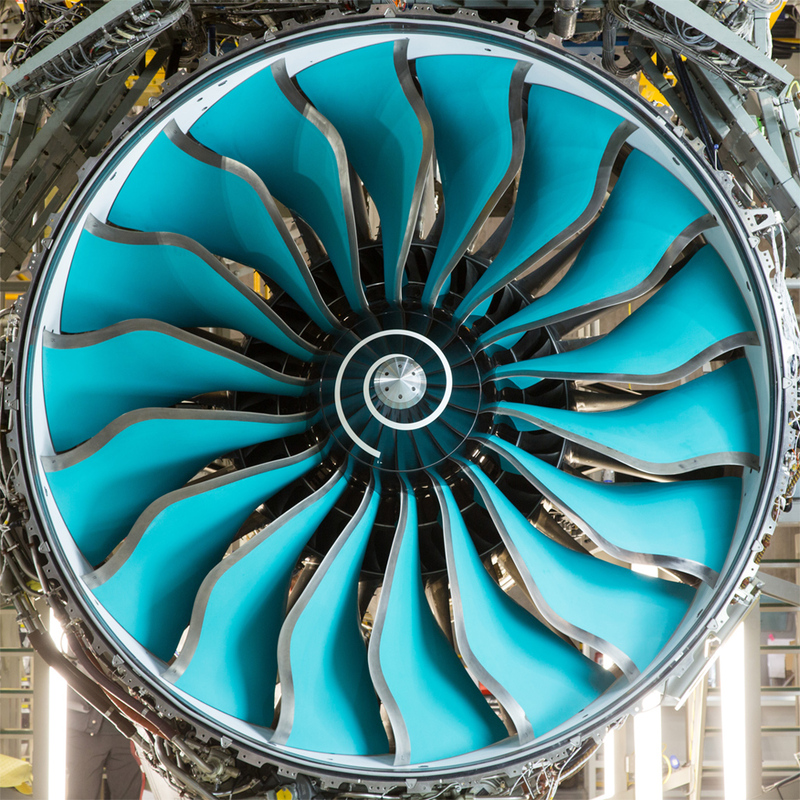 Currently available structural carbon composites are often unsuited for high-energy, high fire-risk applications such as fuel tanks, engine components, high-rise buildings, elevators, rockets, trains, and lithium battery casings, to name just a few. Resveratrol is an ingredient found in certain plants that is associated with a range of functional effects when the plant is subjected to extreme stress from things like heat, dehydration, or disease. Many of the functional effects associated with resveratrol that are observed in nature are thought to be mediated by its induction of “survival” genes. The polymer resin matrix being tested for this new class of composite materials is made from a special formulation of resveratrol, which can be economically and sustainably manufactured on an industrial scale using advanced biotechnology and fermentation, converted to a thermosetting monomer, and then polymerised and shaped/moulded using standard fabrication techniques. Prototype materials made from Evolva’s resveratrol have performed well in preliminary tests, exhibiting a number of advantages over existing fire-resistant materials. Resveratrol polymer composites are lighter than aluminium, halogen free, and able to withstand prolonged exposure to intense heat and flame impingement without combusting or structurally degrading. More testing is needed, but if results remain consistent it could usher in a new class of structural composite materials. The Air Force Research Laboratory and PROOF Research Advanced Composites Division, in Moraine, Ohio, has revealed they are developing computationally derived materials, manufacturing and engineering solutions, including high-temperature polymer matrix composites (PMCs) to replace titanium. Polymer matrix composites offer up to 40% weight savings over standard titanium structures resulting in annual fuel savings of hundreds of dollars per kilogram of titanium replaced per aircraft in addition to potential increased service life and improved fatigue resistance. The Air Force Small Business Innovation Research program is providing an additional $750,000 to PROOF ACD to help transition these technologies in support of the Air Force’s Technology Program for Integrated Computational Methods for Composite Materials. This maturation effort supports the warfighter by providing new capabilities and performance at a reduced cost. It completes development of an advanced materials ‘toolbox’ that includes a higher temperature polyimide matrix composite, a computational process model for the material integrated into a commercial, off-the-shelf software package, validation of the process model on complex geometries, and a materials design-allowable database. In addition to the SBIR funding, this program leverages more than $1.6 million in funding from industry partners, including Lockheed Martin, GE Aviation and Triumph Aerostructures. 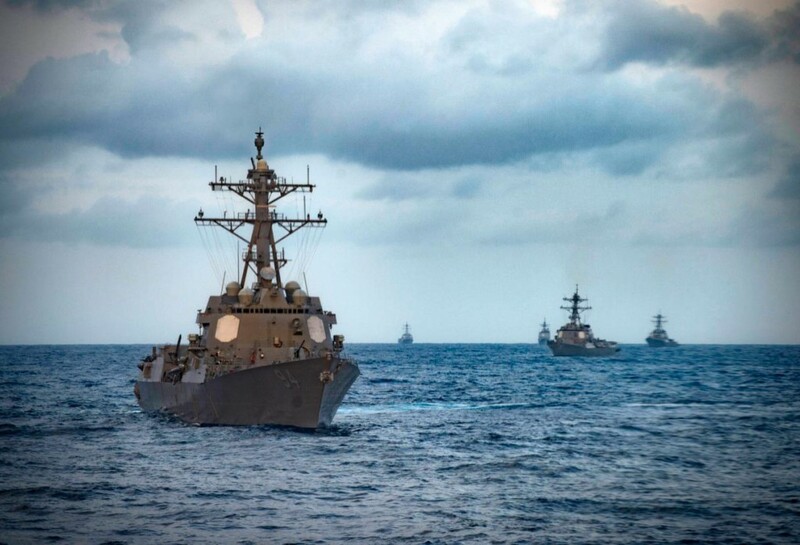 These funds will help ensure the SBIR Phase II effort graduates into a program that successfully transitions its technologies into military or private sectors. 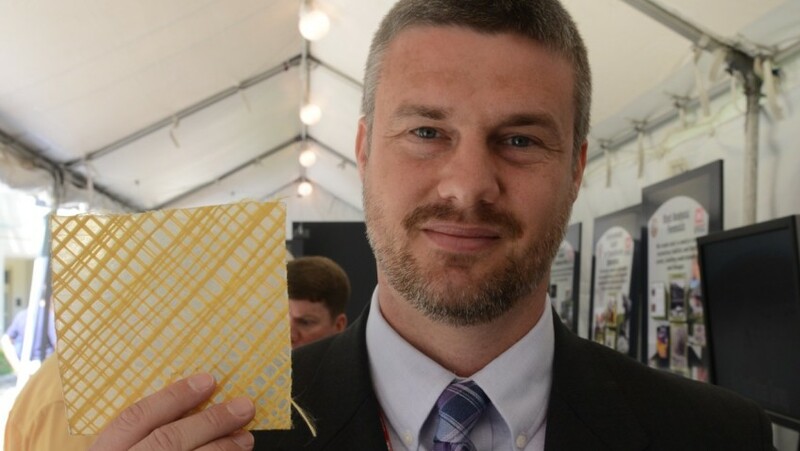 The US Army has unveiled a new defensive product dubbed “ballistic wallpaper” designed to protect American Soldiers when they take cover in urban war zones. In urban warfare, troops will often use abandoned buildings or structures for defensive purposes instead of building their own or digging foxholes. The problem is that when these buildings come under fire by an RPG or tank round, a wall that is hit will implode sending shards of rock and mortar flying at the occupants sheltering inside. 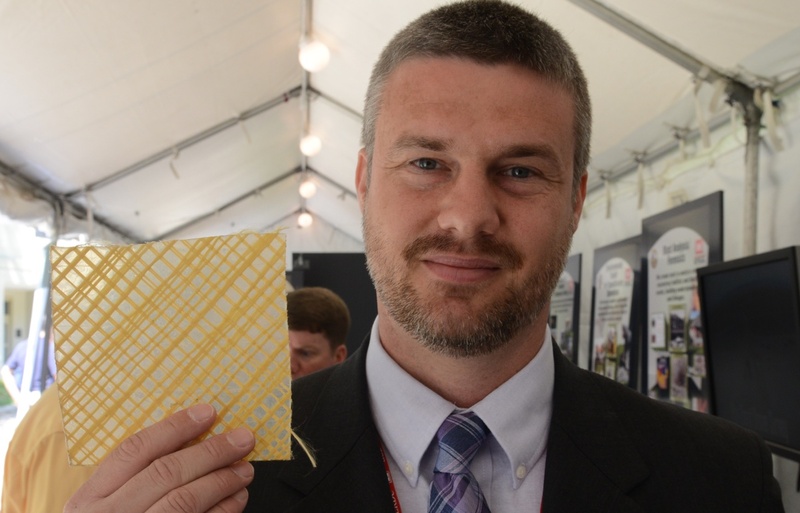 The wallpaper which consists of Kevlar fibre threads embedded in flexible polymer film, is still in early testing phase although the research centre has already conducted blast testing at Fort Polk, Louisiana and Eglin Air Force Base, Florida. 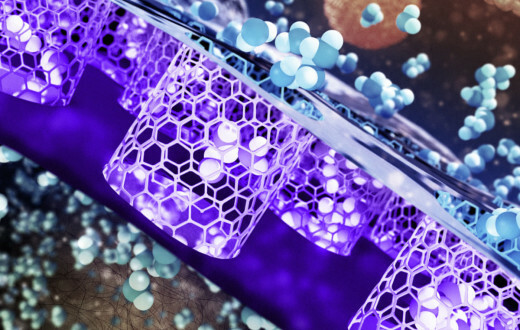 The wallpaper is still in the research and development stage and does not yet have an official name, but it could one day be produced and fielded and hopefully save lives. The army believe the key to making stronger, lighter and more durable weapons is composite materials. Most armaments are still constructed almost entirely of steel as they have been for more than a century, but the Army’s work with composite materials and processes including ceramic matrix and carbon-carbon composites has shown they are not only much lighter than steel but can also withstand excessive heat, something which can cause systems to fail. 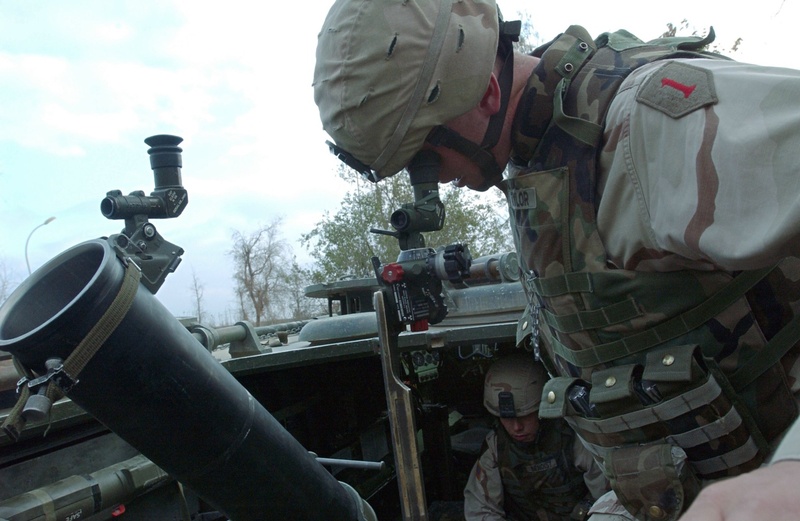 One of the biggest problems with composites is getting them to stick to the portions of a gun that must continue to be manufactured of steel, such as the barrel, In one of the early days of testing, composite material were wrapped around the steel tube of a howitzer, like a jacket. During the first test firing, the gun recoiled, but the jacket didn’t. A gun must also exhibit “stiffening” properties, which is necessary to lessen vibration and ensure targeting accuracy. 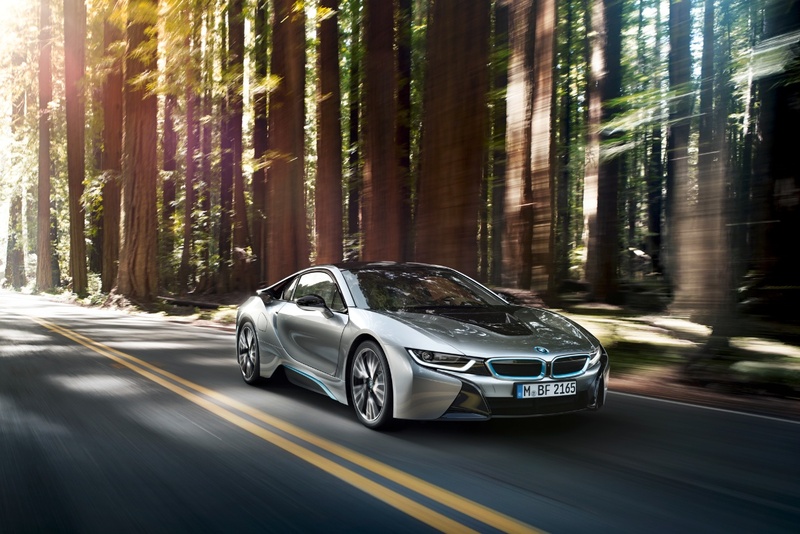 Some composites are two to three times stiffer than steel. Another factor that needs to be controlled is dynamic strain, meaning the possibility of the material breaking apart. Dynamic strain failure during testing has actually resulted in the muzzle end of the gun shearing off and flying downrange. Composites also allow tailorability in design, with different composite formulations used for different parts of a gun. 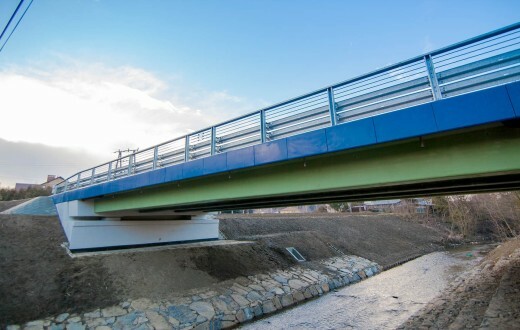 In critical areas, stiffer, more expensive composites can be used, whereas in other areas, less expensive and more flexible composites can be used. 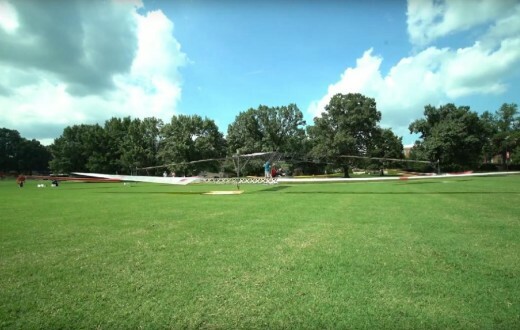 For instance, certain layerings of composites can induce a desirable effect known as coupling/extension-twist coupling, this design has been successfully used on experimental helicopters to change the rotors’ attack angle during flight. These composites would allow portions of a gun to twist slightly during recoil, like a rubber band, so the parts don’t shear or crack. The XM360 120mm cannon, part of the now-cancelled Future Combat Systems, remains one of the most mature examples of composites development. To ensure that the composite jacket fits securely over the barrel of the XM360, the steel core was first contracted by chilling it with frozen carbon dioxide, then, thermal plastic was wrapped tightly around it. Finally, as the frozen barrel warmed up, it expanded into the composite jacket. Fourteen barrels were produced in this manner and each was tested. Some of them fired as many as 250 rounds. Tests were a complete success and this technology is sitting on the shelf, ready for use. 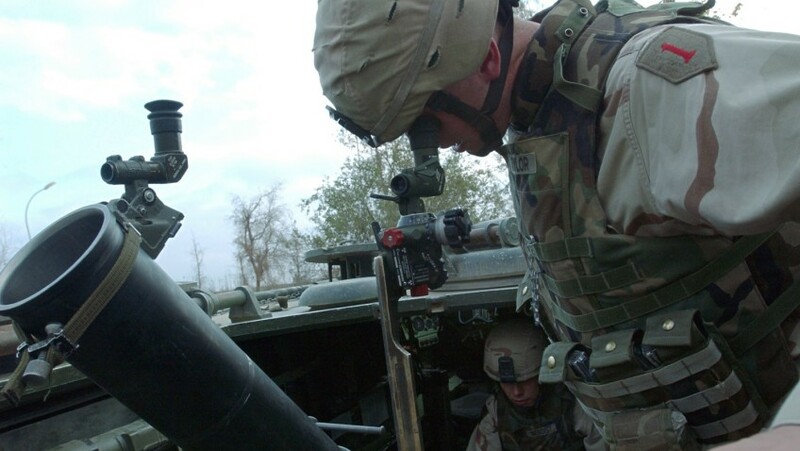 Among crew-served weapons, the 81mm mortar tube and baseplate are now being researched for composites integration, with testing getting underway in about another year. Metal and ceramic composites are being tested to help with excessive overheating in mortar tubes. 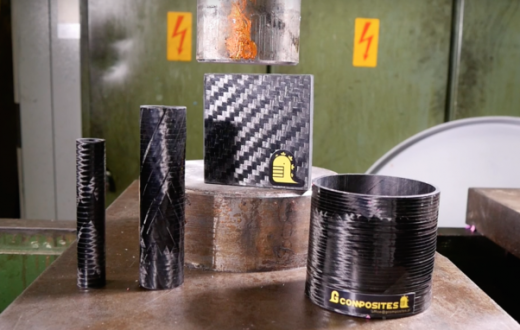 Composites could also help reduce the weight of mortar tubes, placing less of a burden on the teams that use them. Composites could reduce the entire weapon from 90 pounds down to 50 pounds, with the base plate alone going from 25 to 15 pounds. 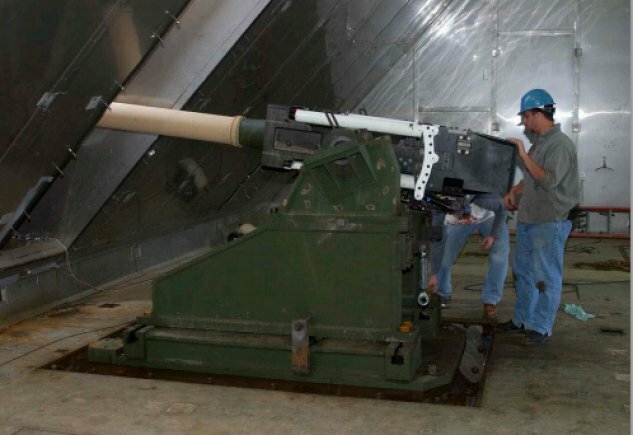 Work is also being done to lighten the M109A6/M284 Paladin Cannon bore evacuator, using composite technology similar to that used on the M256 cannon of the Abrams tank. Composites should lighten the M284 Bore Evacuator from 200 to 78 pounds. The new composites should be ready for use in about five years and may also be used for the 155mm howitzer. 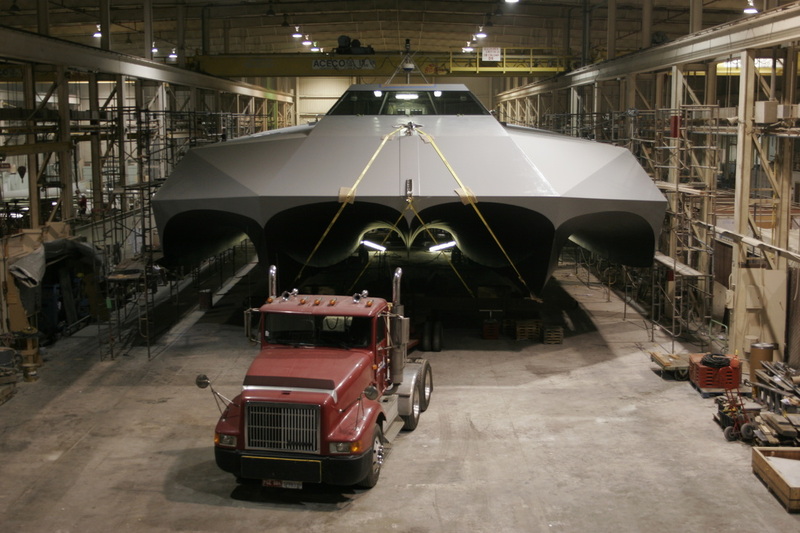 The Stiletto is to date, the largest ever ship created from advanced composites for the U.S. Navy and was designed for delivering Special forces to their insertion points quickly and quietly. 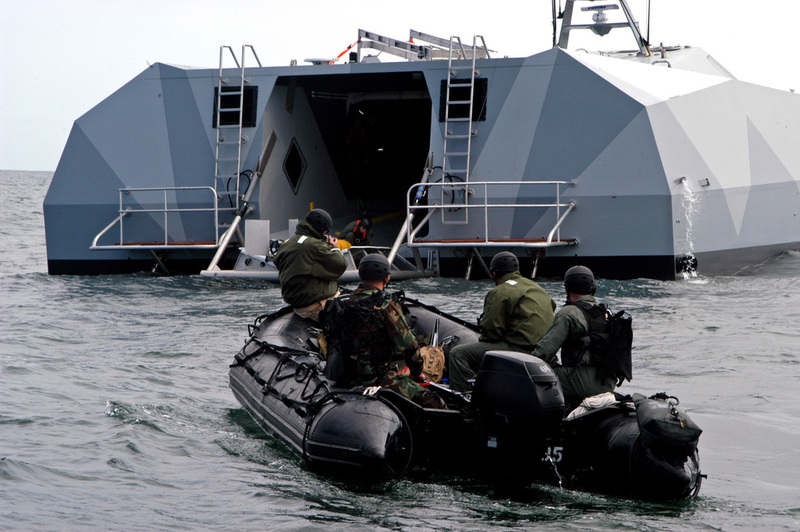 While heavier ships use their size to push through oncoming waves, the lightweight powerboats that are currently used to get soldiers to drop off points are too light to do this, instead its quite a rough ride for the troops as the boat goes bouncing through the waves. 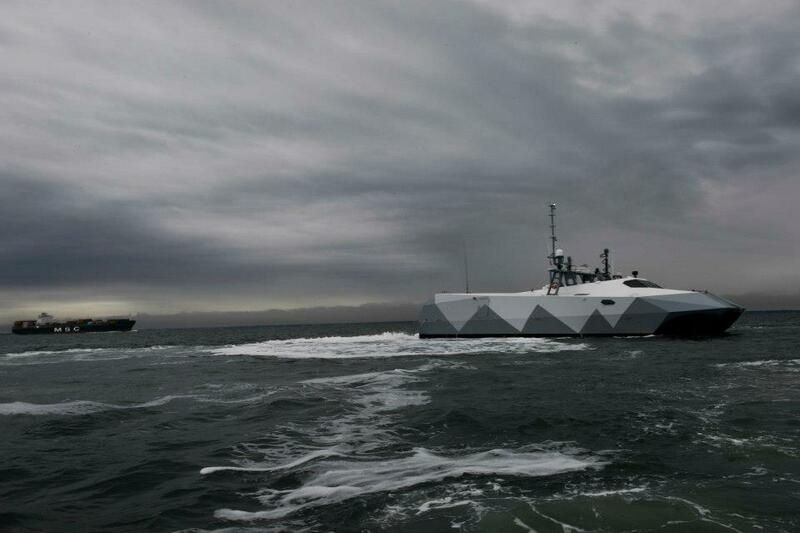 The M80 however, can push through rough seas with ease thanks to its patent-pending technology, the ships M-hull uses bow wave energy to create an air cushion for more efficient planing. This not only reduces the Stiletto’s draught to just 3 feet even when fully loaded with crew and up to 20 tons of equipment, but it also drastically improves the ride and fuel efficiency with very minimal drag. Along with comfort the M80 has also been built for speed and is equipped with four caterpillar engines capable of a top speed in excess of 60 knots with a range of 500 nautical miles (900 km) when fully loaded. 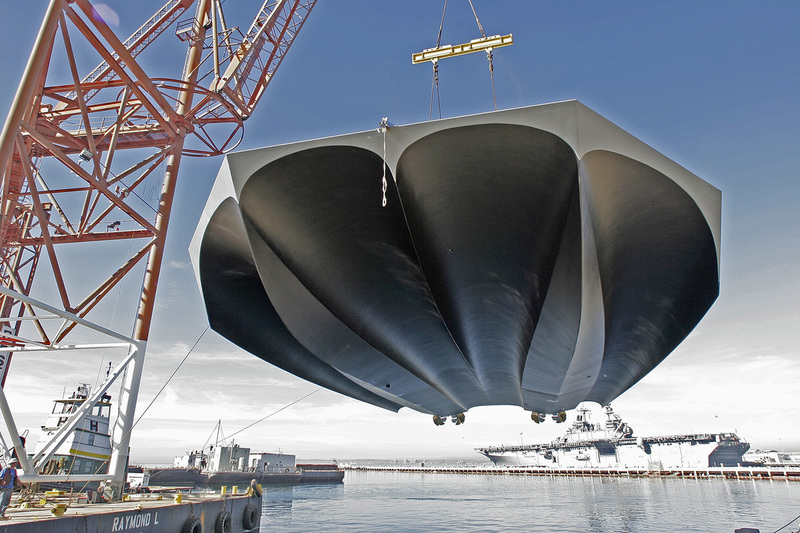 The body of the vessel is constructed almost entirely from carbon fibre, which reduces its weight to just over 45 tonnes while maintaining the ships structural strength. 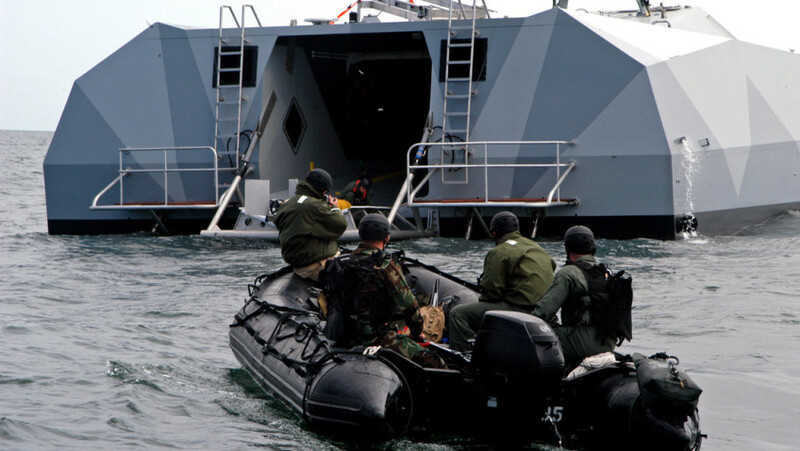 Although not intended to become operational just yet, the Stiletto was deployed to Colombia to help fight the U.S. war on drugs and made a high-speed, shallow-water drug interdiction that resulted in the capture of 1,800 lbs of cocaine. 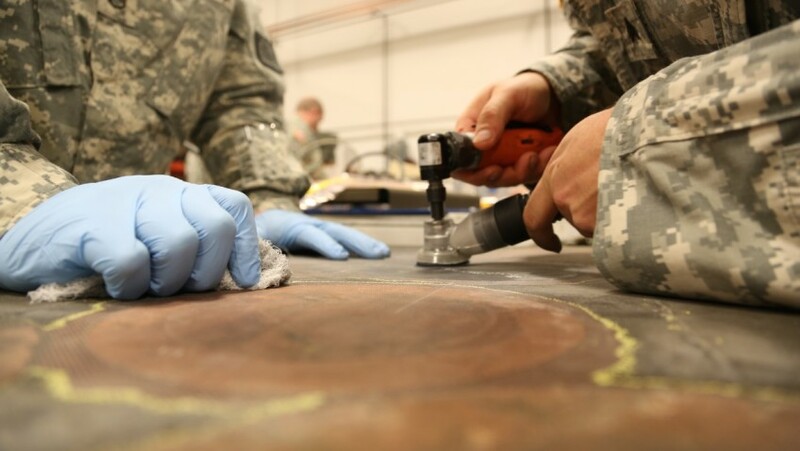 The biggest challenge with these new materials is developing an Army capability in advanced composites and allowing the maintainers to repair structures made of composite materials such as carbon fibre, fibreglass, and aramid (Kevlar). This is where the U.S. Army Aviation and Missile Research, Development and Engineering Centre (AMRDEC) comes in through its Prototype Integration Facility or PIF for short. 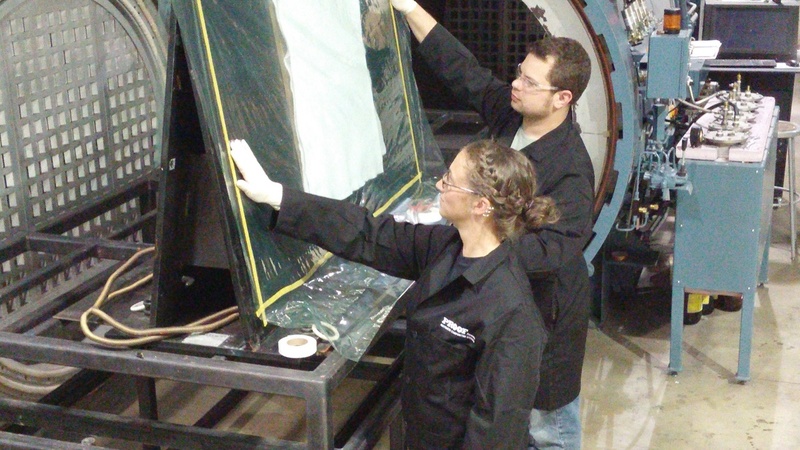 Having advanced composites in primary flight structure is totally new to the Army, and Soldiers did not have the appropriate skills to repair these components, the Prototype Integration Facility was able to design and validate the repair process, and then train the Soldiers to be able to accomplish those repairs. The repair course offers an overview of the materials, processes, and tools used to repair advanced composites. Although the class is based on the published procedures for the UH–60M helicopter’s horizontal stabilator, the processes taught to the Soldiers are applicable across all aviation platforms. 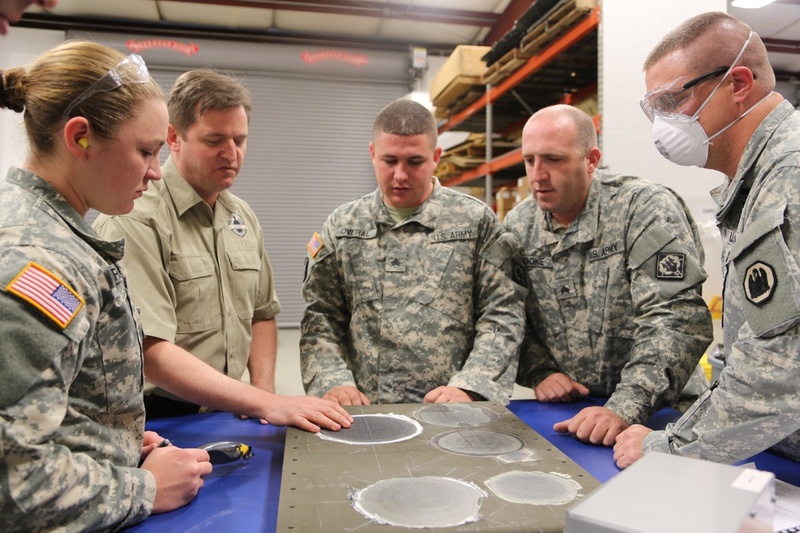 Earl Thomas, lead composite instructor, instructs National Guard Soldiers on inspecting a composite repair. 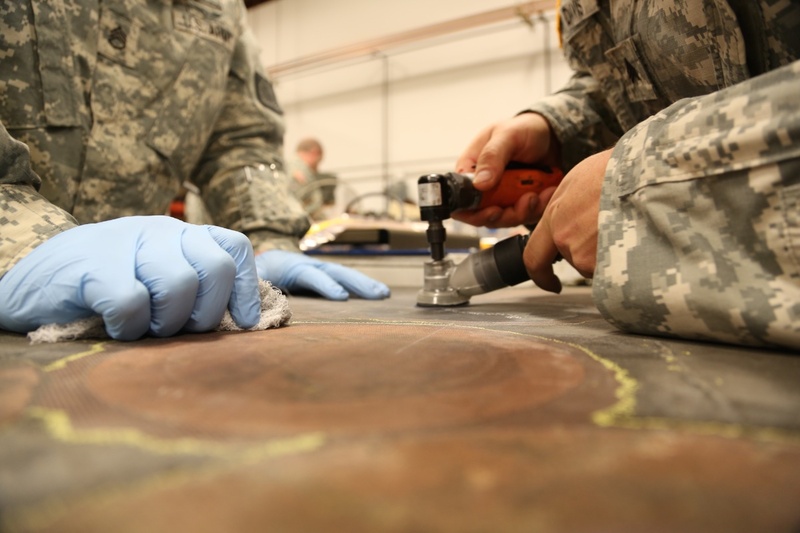 Over the past two and a half years, the PIF has trained more than 250 Soldiers and civilians in advanced composite repair processes and other composite fundamentals. The PIF offers three different courses and is composed of classroom lectures and practical hands-on exercises: Advanced Composite Repair (40 hours), Technical Inspection of Advanced Composite Repairs (24 hours) and Fundamentals of Composites (40 hours). Throughout 2014, the PIF used advanced composites to save more than $40 million for the Utility Helicopters Project Management Office alone. In February 2014, the PIF was awarded the Army Aviation Association of America Material Readiness Award for accelerating the Army’s widespread adoption of composites and enabling the warfighter to support those composites.